Between the busy-ness of summer holidays and back to school, September’s garden can be messy. 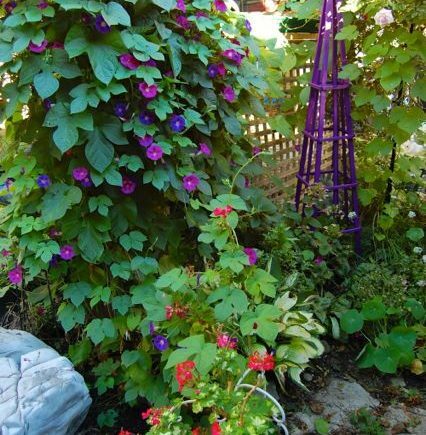 That’s so in my back garden, where morning glories typically take over by September. This year, they are true to type. Painting that obelisk purple this spring was one of the few things we did in the back. It was a cheap garden reno – painted to match our lilacs and alliums – that contributed an immediate and lasting pop of colour. 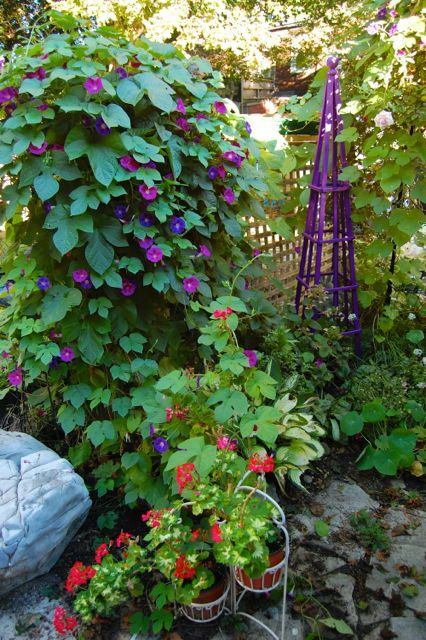 So, when I saw this cascade of morning glories, I thought: A-ha! I rearranged the furniture. The obelisk went from one side of the garden to the other, and now creates a focal point that distracts attention from the overgrown jungle that is the main body of my tiny garden. Do you have something you could move? Loving purple as I do, I should paint my garden ornaments purple and they will echo my purple blooms as nicely as your does. Great obelisk and perfect morning glories to accompany it. Janet, the morning glories have a will of their own. My relocation of the obelisk just makes it seem accidentally on purpose. I have a metal obelisk, and now you have inspired me to paint it also!!! Love that shade of purple! Stunning little garden there!!! Julie, let us know how it turns out! 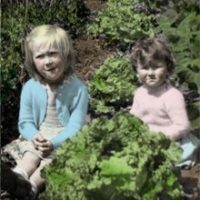 Book Review: Why grow that, when you can grow this?